On November 3, 2013, three women will begin their ride of 1000 miles along the entire length of the Baja peninsula in Mexico. What makes their trip so much different from so many other Baja riders is that they will be doing it by mule. In this five part series of articles we will not only share their challenges and their triumphs, but see how these lessons can be applied to the running of a business. to raise awareness of and funds for our three favourite non-profit associations. Coins for Classrooms, Living Roots Baja and Mujeres del Golfo . The first goal involves riding mules the entire length of the Baja peninsula. This will take around four months and cover about 1000 miles. Most of the time we will be camping out and cooking over a fire. We will stay and eat with ranch families from time to time, helping with goal number three. Along the way, I will be doing photography and writing up each day’s travels, preparing to update social media and to write a book and possibly produce a film. Stated in such a way, these sound like fairly simple tasks, but they are obviously four very big goals. In order to accomplish just one of these, we would need a leader who had people willing to follow her and trust her. When you have four stand-alone goals, then you need a team of leaders. Trudi Angell is the jefa (pronounced hefa). She is the overall logistics person, her job is to understand where we are going and how we are going to get there, oversee the supplies and the kitchen as well as to make sure we have the right number of riding mules, pack animals, saddles and assorted gear required for a half-dozen people to get the 10-15 miles down the trail that we aim for each day. She is also co-coordinating the bulk of our “paying guests”, riders who are joining us for a few days or even a week or two along the way to experience not just the ride, but to provide some income as well. She has an office assistant working back in Loreto in her tour business that assists with this. On top of that, she also hires the vaqueros (cowboys) and guias (guides) and arranges for any guias (permits) required for the areas we pass through. 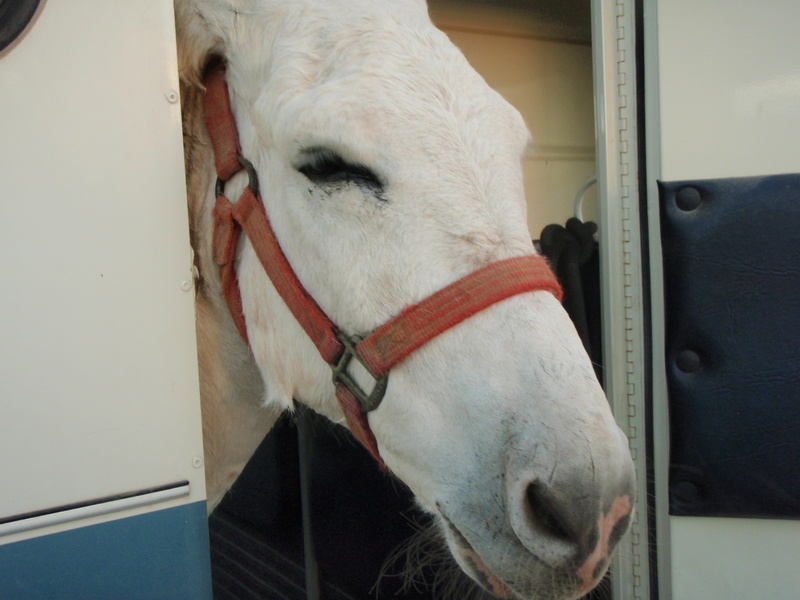 If we have to retire an animal from the ride, which we have already had to do, she then starts contacting those in her extensive cadre of contacts that can trailer animals and haul them back to where they need to be. Olivia Angell’s job is to run the kitchen, provide the evening meal, monitor supplies and to make sure our paying guests are well-taken care of. This job is being done in the desert, away from stores, roads, running water and refrigeration. She needs to assess the food, and more importantly, the condition of the food, each day, making the menu plan based not on convenience or mood or preferences, but on what will go bad if we don’t use it right away. She is able to supplement our supplies by what is available at various ranches or small tiendas (stores) along the way or by using gifts of food, often queso fresco (freshly made soft cheese) that are personally delivered by ranchers that wish us well. At times we are able to join in a meal at a ranch house. Sometimes we pay for the meal, sometimes it is given. When we need something added to the larder we have to try to send a message ahead via the rancher’s radio system or with a cowboy passing by so that it can be brought in to a point further down the trail for us to pick up. One of the trickiest parts of Olivia’s job is keeping everyone’s food needs met. We at times have vegetarians, folks with allergies or gluten intolerances along. Olivia also monitors our Facebook page for queries and comments in Spanish. On top of that she has started a bilingual blog about our trip. As you can see, each of these areas requires a confident and capable leader who is willing and able to take on a great deal of responsibility, to stand firm on their area of influence but be willing to listen to the input of the other leaders, to know when to offer help to the team co-leaders and one of the hardest parts, know when to accept input and assistance, as well as when to ask for help or space. On top of these things, this is a 24 hour a day, seven day a week, four month expedition in the wilderness. So we need to deal with each other not just as co-leaders, but as humans, complete with all our strengths, weaknesses and foibles. So how do we do this? Actually DO it, not just talk about it or quote management theories? We know that we need to be able to communicate with each other and to be able to pick up the pieces of someone else’s job if they need to step away for a short or long time. So we have set-up a joint email account that we can all access. We also each have administrator privileges on most of our social media. We include each other in conversations relevant to leading the group or ask to be included if need be. Each Monday evening we have a 30 minute “touch base” meeting with clear rules on how we behave. We each have a few minutes to state how we feel everything is going, good or bad. We use I statements. We actively listen while the others are speaking, not use the time to formulate a response. Interrupting another person is not allowed. After we go round our circle, we will pick the topic that seems to be most pressing and offer solutions, and agree on how to proceed. We work our way through the topics until the 30 minutes are up. In our last meeting we determined that during the course of the day much information had to be repeated, especially to our guests but sometimes to each other as well. It was confusing, frustrating and inefficient. We decided that when we needed the group to know something we would call everyone together so it needed to be said just once. Well, twice actually. Once in English and again in Spanish. This way everyone, including our Spanish speaking staff, know what is happening. We also decided that being interrupted while giving information was making it difficult to make sure everyone had their needs met. We now put our hand up briefly when someone interrupts to signal that we are otherwise engaged but will talk to them or answer their question in a moment. It seems to be working when we remember to signal our acknowledgement but we do need to remember to do that! As to the “touch base” meeting, so far, so good, we have had one, it is my job to make sure we continue to have them and to facilitate them. The key component in this expedition is trust. We trust each other to do their tasks, we trust ourselves to ask for help or for what is needed and we trust that we have each other’s back. Our goal is to still be friends at the end of this. And one of my personal goals is to go home comfortable with being a strong leader again, ready to run my business in a more pro-active way. If you use any of these skills in your business now, or start using them because of this article, please do comment. Together we can be better leaders and build better teams. This entry was posted in Articles and tagged Baja California, La Mula Mil, Mexico, mules, Olivia Angell, planning, Trudi Angell on January 19, 2014 by wrrldgrrl. Could you briefly describe what La Mula Mil is? La Mula Mil, (literally The Mule 1000) is an extended mule packing trip along the entire length of the Baja Penisula. We will be riding from San Jose del Cabo in the south to Tecate in the north. We anticipate spending four, possibly five months riding on mules; sleeping and living in the desert. We decided on this particular trip to celebrate the almost unheard of Meling Expedition that did this 50 years ago. Who is participating? What do you each of you bring to the journey? There are three main riders on the trip. 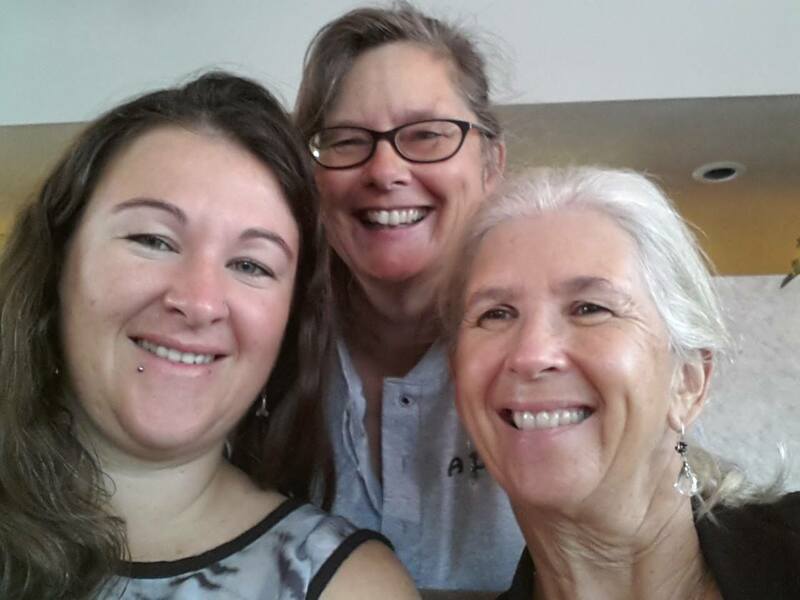 Leslie Pringle, Trudi Angell and Olivia Angell who will be riding the entire length of the Baja peninsula. At various times others will join in as paying guests. Olivia-24 years old-almost the same age as Eve Ewing when she did the trip 50 years ago. Eve is the inspiration for the recreation of the Meling Expedition. Olivia will be doing the pre-trip “gopher work” and camp chores when we have paying guests as well as handling a lot of the filming end of things for our adventure. She will have a bilingual blog about La Mula Mil and assist with the Spanish entries on our Facebook page. She is fully bilingual and bi-cultural. She has also ridden extensively with her mom from a very young age, completing a 6 week “long ride” when she was just 9 years old. Trudi-58-has lived in the Baja for 30 years and has run an adventure company the whole time. She is the logistics queen. She knows all the right people to make this happen. Without the locals as guides, not just for the trails, but more importantly for the watering holes, this trip would not be possible. She is also a wonderful organizer-on-the-fly, camp hostess, cook, singer and person. There are very few people I can imagine doing this type of trip with. Trudi is one of them. Leslie-51-is the documenter of the trip. Her vision is to create a coffee table book of the two expeditions, overlaying the changes that time has wrought, good or bad. She will be visually journaling the trip and interacting with the paying guests when they join in on select portions of the trip. She will be the main photographer and will assist with the filming in order to produce a documentary on the trip. Social media sites such as Facebook and blogging (under “wrrldgrrl”) will be her responsibility. She is also the fundraiser for the pre and post trip portion of the planning. You can find (and fund!) the Indiegogo campaign here (the campaign has now closed). And on behalf of Coins for Classrooms she will also be dropping off some school supplies at various schools enroute. Would I be wrong in saying that there is a physical, mental and even spiritual preparedness needed before embarking on an expedition of this nature? You are completely right in saying that. One needs a certain level of physical fitness for this journey, yes, but the mental fitness is the most important. We are talking about a 4-5 month trip, over a thousand miles on mules. We will be looking for camp spots and/or beds each night, preparing food, interacting with the natural environment and the locals but also with paying guests, researchers and everyone else en route. Riding to the various missions on a pilgrimage of sorts is a common undertaking at this time of year, we will be sharing the trails with a lot of people at time, and then with no-one at other times. One of the most challenging aspects will be to move in and out of the headspace required to successfully navigate the needs of the people involved with each situation. We will also be blogging and uploading to social media when the opportunity presents itself. This will be one of the most psychological of the challenges as we will be in a very rugged physical world that requires a certain mindset, then we will have to jump back into the 21st century and out again. We could just “fall off the planet” for four months or so, but we would like to raise awareness of safe travel opportunities in Baja California as well for the NGO’s each of us has chosen to work with. Trudi and myself both have businesses that need to be run while we are gone, and Olivia will be waiting to hear back about her thesis application, so from a mental standpoint we all have things to keep us tied to the world we are in some ways, leaving behind for a while. As to spiritual preparedness, that is a personal journey so I can speak only for myself. My experience with travel has been very spiritual, which is one of the reasons I keep doing this rugged form of exploration. The more I go “outside” into the physical realm, the more I discover of myself “inside” in the spiritual realm. My connection with the earth grows each time I immerse myself in remote areas. This is one of the most exciting aspects of this trip for me. Every expedition has its realistic goals and also a few ‘wouldn’t it be amazing if we ……….’ goals. Can you share some of each? 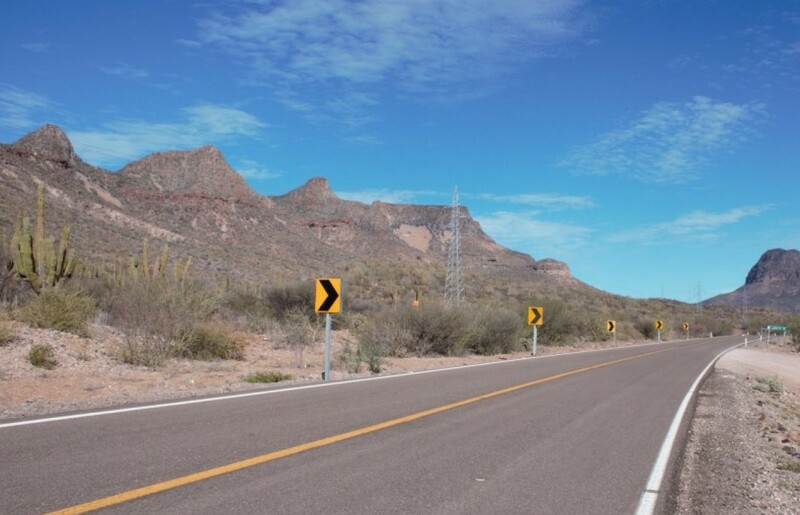 Realistically we all fully expect to ride the entire length of Baja peninsula in four, possibly five months. Trudi and her daughter Olivia both think it is be amazing that they will be wrapping up unfinished business in that they have already ridden a good portion of the Baja in bits and pieces over the years but have talked about riding it all in one go as well. Trudi is truly hopeful that the recent rains from hurricanes will provide enough feed for the animals so that we have to bring in a minimal amount for them. A little more winter rain would help, but as it can go years without raining we will just have to wait and see. Olivia hopes that Eve can ride with us enough to fill in some of the blank spaces of her own map from back in the 60’s. She joined late and had to leave early. Trudi and Leslie both wish for people to see that the world is not as scary as we are led to believe it is. It is our hope that humans can recognize each other’s humanity and learn to enjoy the world outside their own boundaries, both physical and emotional. We all have hoped for the enthusiastic support of our remaining riders from the Meling Expedition. After spending the majority of a day, with three of the orignial riders, we are relieved to have been sent off with hugs and well-wishes and offers of places to stay anytime we are around. As exciting as this journey is it is not without risks. What are some of your concerns/fears as you venture forth? We are all extremely experienced and comfortable in this setting so our concerns are simple: will there be enough food and water for the animals, will something happen in the outside world to pull one of us off of the trip or could we have a falling out that is too big to fix. Many people have expressed their concerns on our behalf in regards to drug runners. There may be some activities of concern around the border, but we are finishing up before planting season, and will use knowledgeable, well-connected local guides to make sure we stay out of anyone’s territory. We will be notifying the authourities as we approach these areas so that it is well known that we are passing through. This is simply a precaution-there are even parts of our own country that we know to avoid. What are the dates for la Mula Mil? Is there any way the readers can support your efforts? And how can they follow you? Our ride will begin November 3 2013 in San Jose del Cabo. We will take a break for Christmas and New Year’s around San Ignacio then continue in January so we can finish up inTecate in March of 2014. Our La Mula Mil Facebook page has been active for a short time so we could really use some likes and especially shares to build our number of followers. We are just launching our Indiegogo fundraising campaigns as we need more resources to get through the entire trip. We already have a sponsor who will be paying the guiding fees for two months but we do need to organize some more patrons. We each have a favourite non-profit that part of any excess funding will go to, Coins for Classrooms, Living Roots Baja, and Mujeres del Golfo. We have an email address, lamulamil@gmail.com if you need to contact directly and aren’t on Facebook. As we will be mainly off-grid, please be patient until we can get back to you. One thing I would love to share that doesn’t fit into the questions you have asked us Jill, is how honoured we were to help orchestrate the reunion of Eve Ewing, Andy Meling and Joanne Alford. It was the first time the three of them had been together since they said good bye in La Paz in 1964! But to say we organized that would be such a stretch, it was synchronicity that allowed it all to fall into place. There were a number of people who ended up in the right place at the right time just by coincidence! This entry was posted in Articles and tagged Baja California Sur, La Mula Mil, Mexico, mules, Olivia Angell, planning, Trudi Angell on January 19, 2014 by wrrldgrrl.